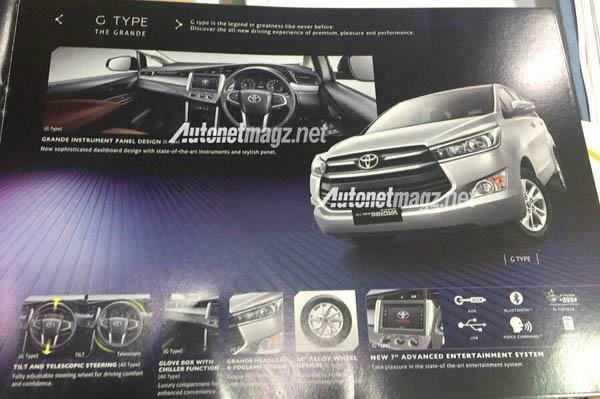 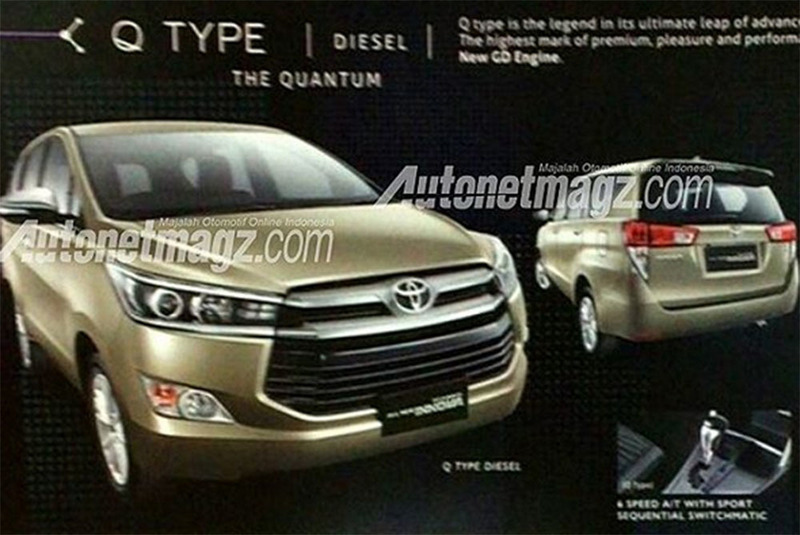 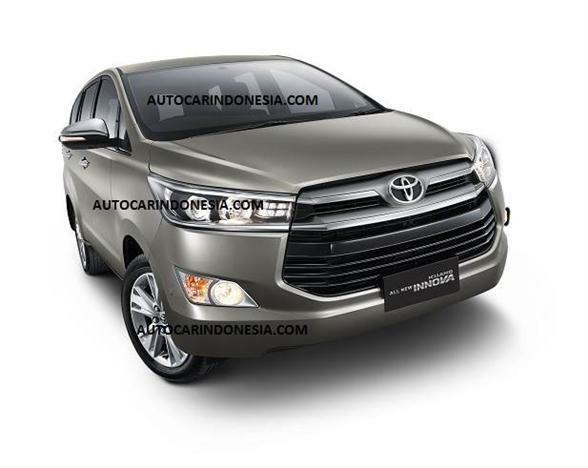 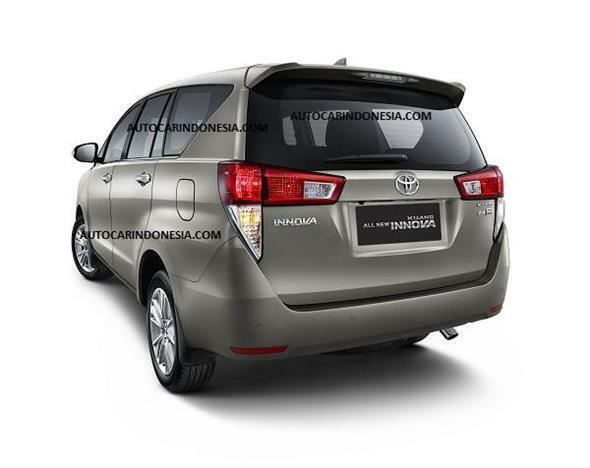 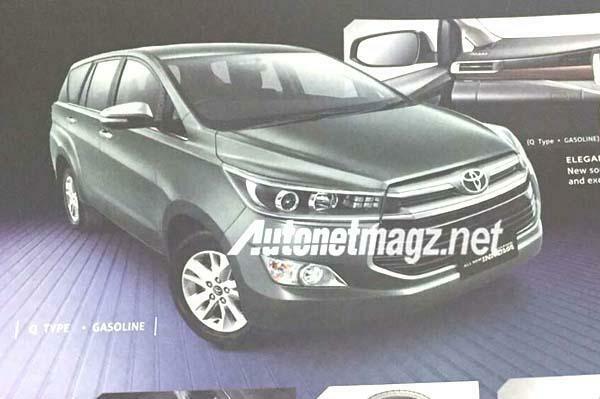 The all new 2016 Innova has been spotted again in the leaked brochure images of Indonesian spec model. 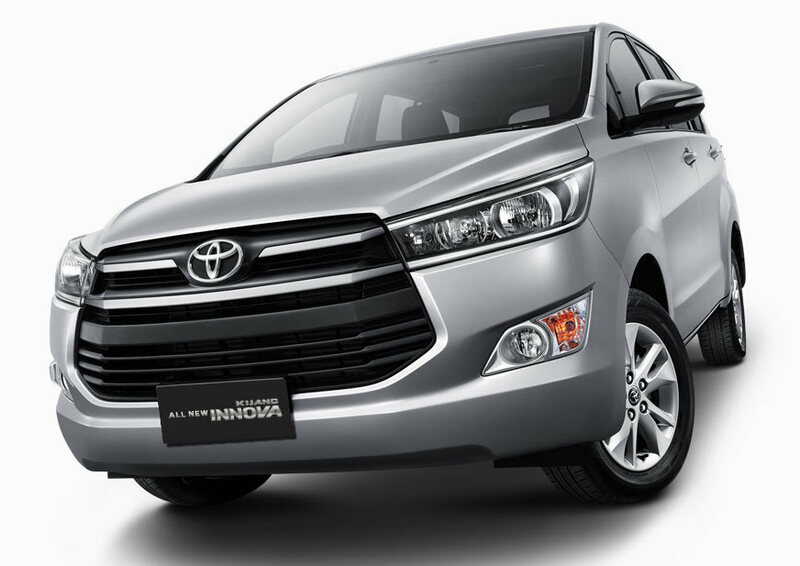 The car looks totally different from the current generation and features premium exterior as well as interior features. 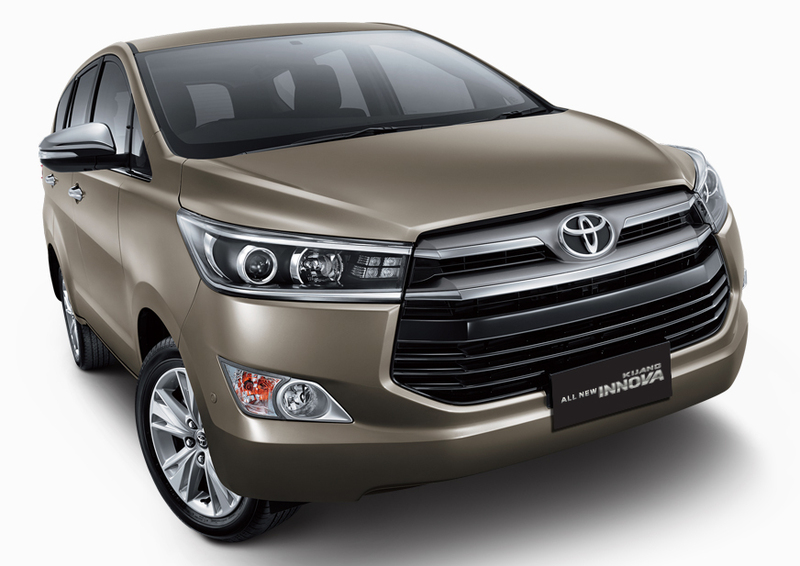 The oddly shaped hexagonal grill gets 2-lined thick chrome slats joining the headlights on both the sides. 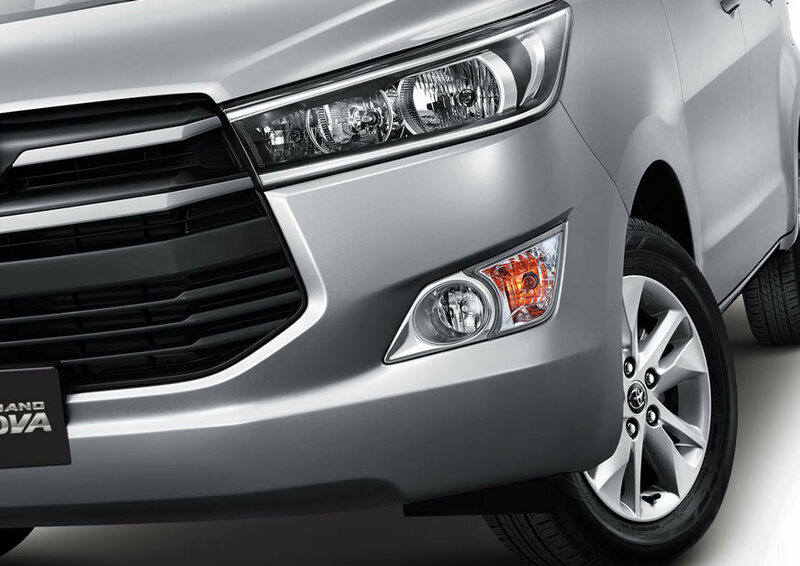 The stretched headlamps get integrated LED DRL's and double projector arrangement on each side. 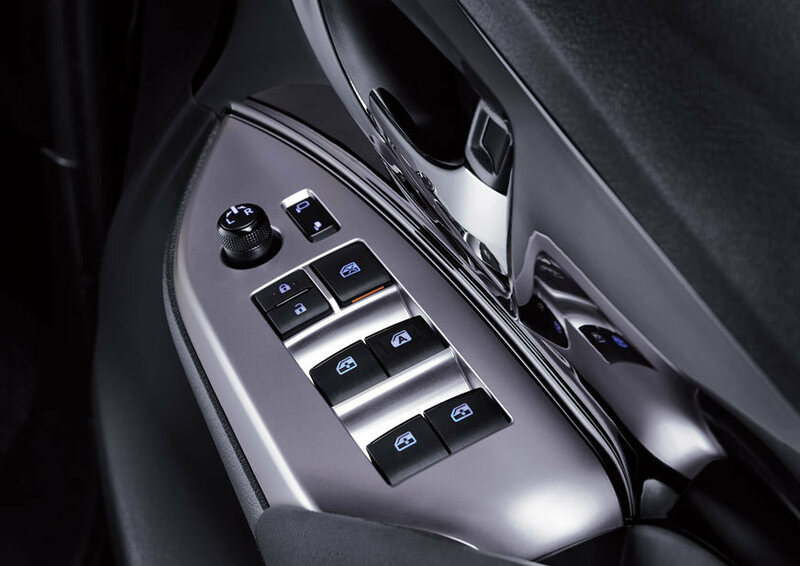 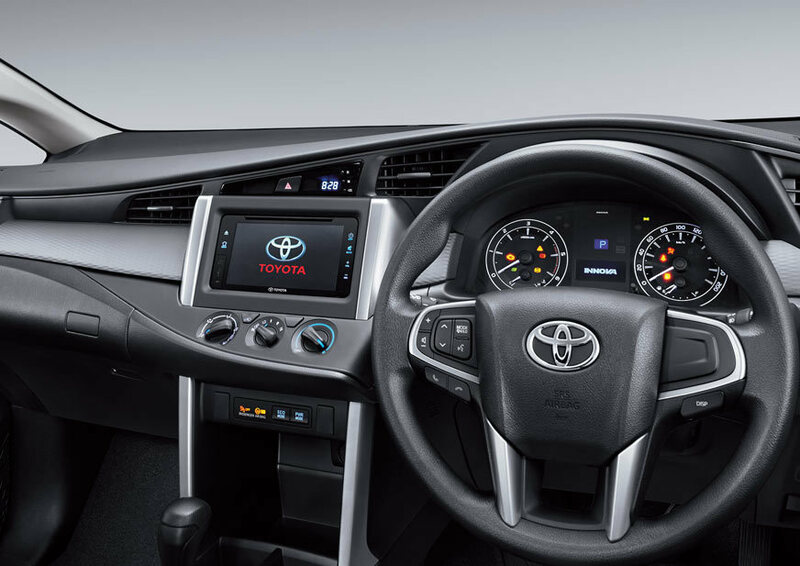 The top spec trim from the Indonesian model gets keyless entry with push start option, Eco and Power mode, 7 airbags, ABS with EBD, vehicle stability control and hill assist. 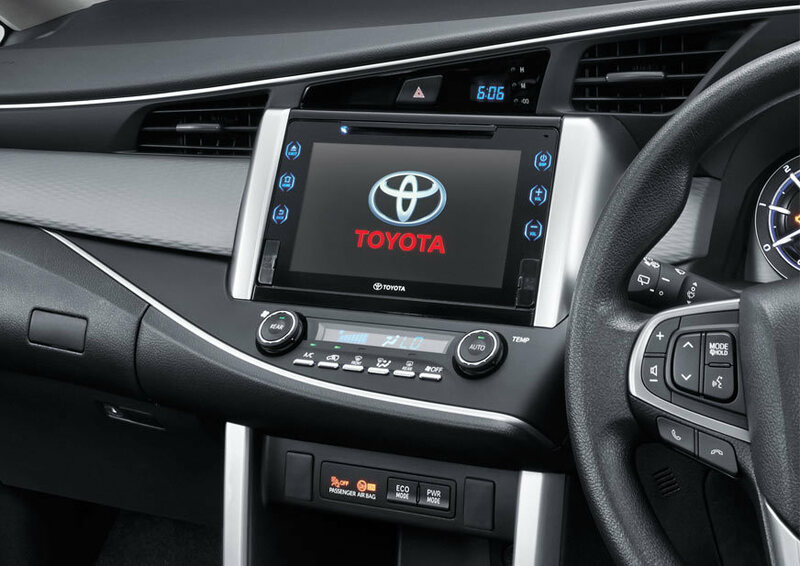 The new interior design resembles that of the new Fortuner, highly inspired in terms of premium material as well as design standards. 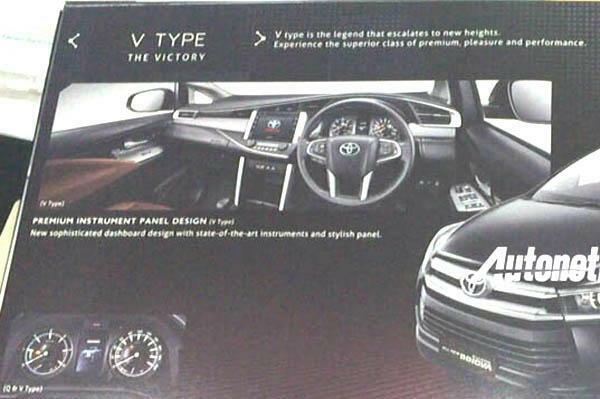 The upper half stays black whereas the lower gets beige treatment. 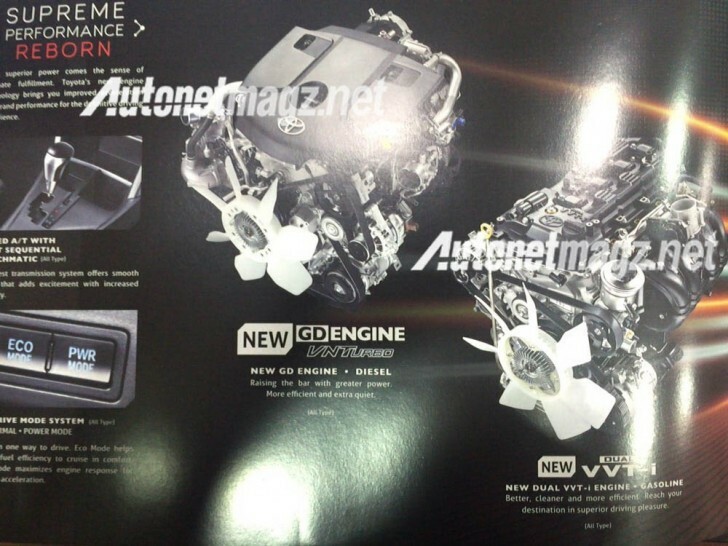 The engine is the new 2.4L diesel motor, mated to a 5-speed manual and a 6-speed automatic transmission. The engine produces 149 PS @ 3400 rpm. 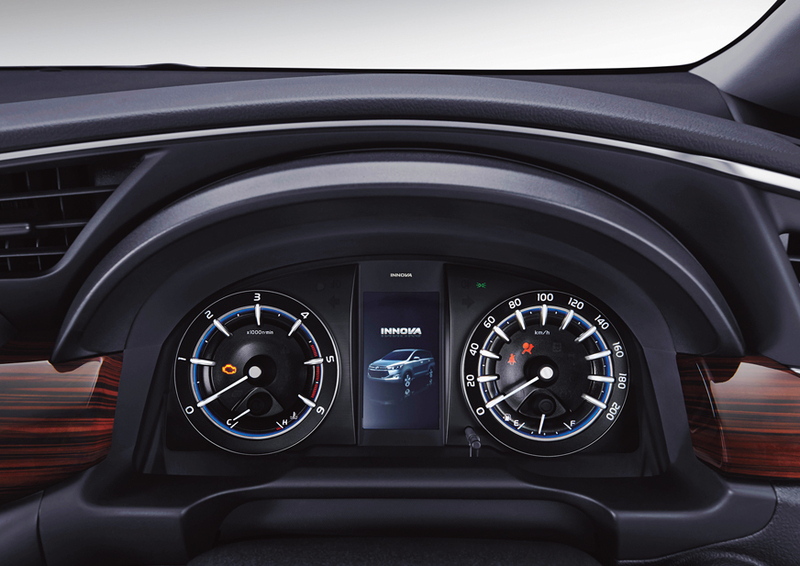 The torque value comes out to be 359 NM for the automatic gearbox and 342.2 NM for the manual unit. 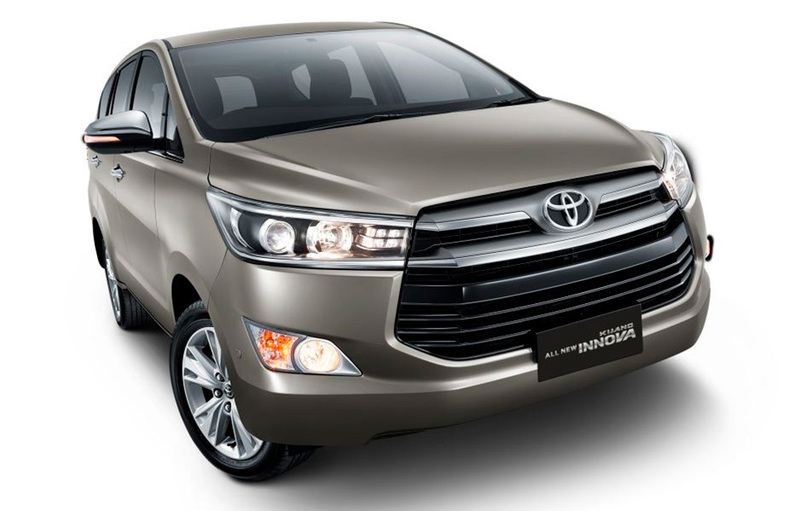 The added features makes it sure that it would land with a bigger price tag into the Indian market. 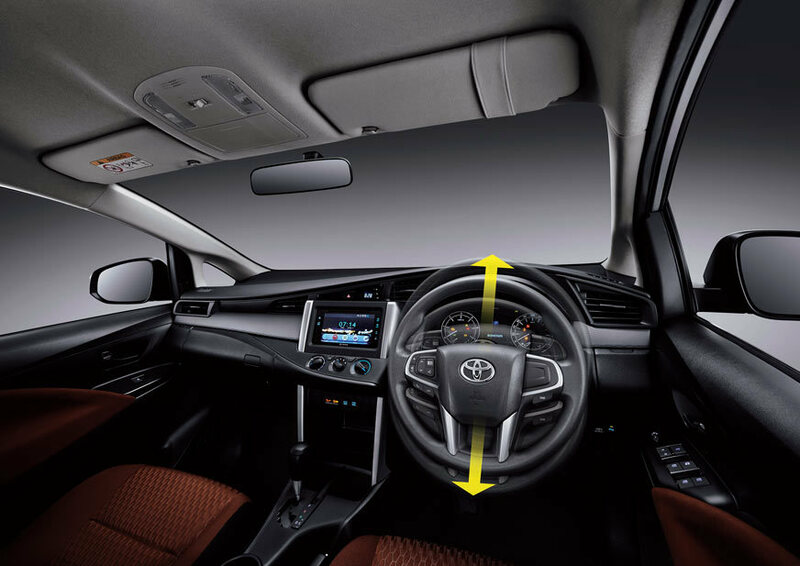 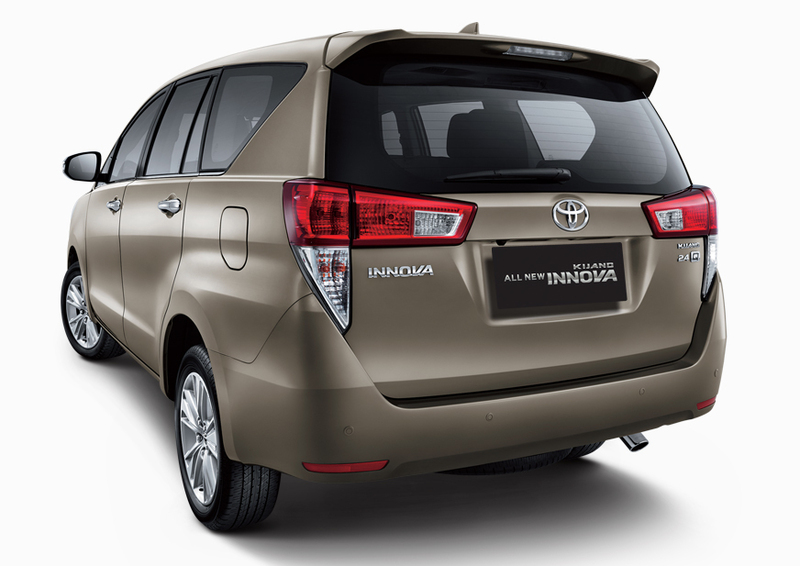 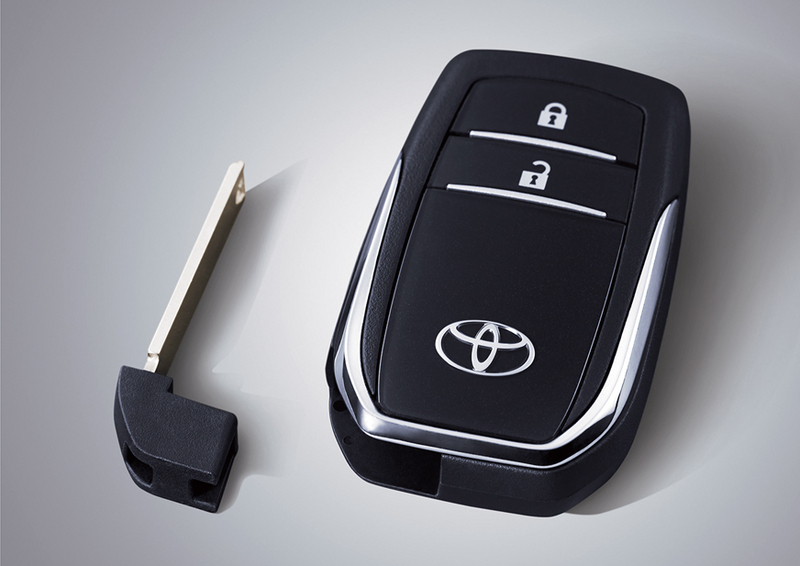 On a scale from 1-5 what would you rate the 2016 Toyota Innova? 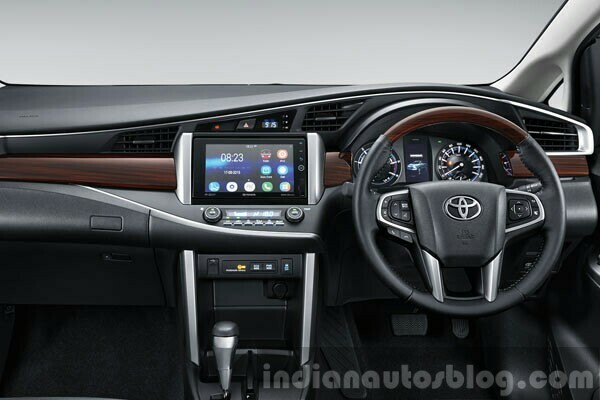 The images for the rear of the upcoming India bound Toyota Innova has been leaked by the same source which had earlier leaked the brochure images for the front, interior and accessories for the newcomer. 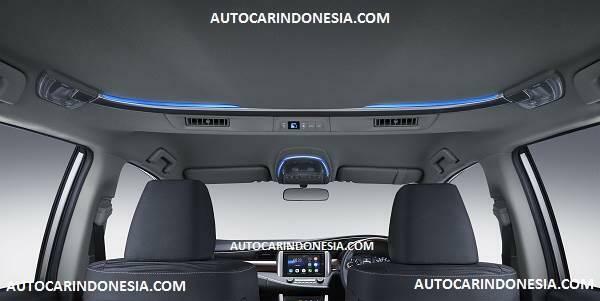 The car gets a totally new concept of tail light positioning as the lights extend downwards in a sharp manner. 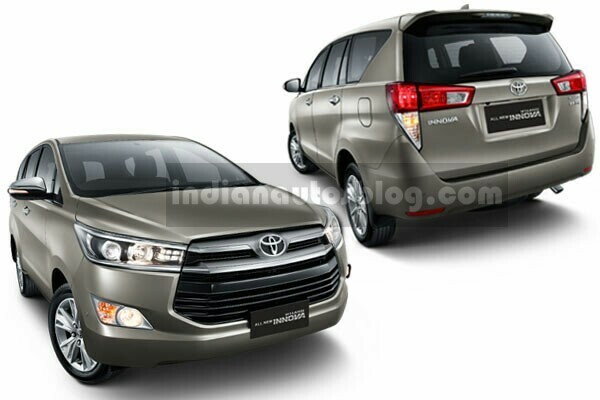 The new Innova loses its decent image and has transformed into an all new aggressive MPV. The top variant is expected to be loaded with list of luxury features and visual enhancements. 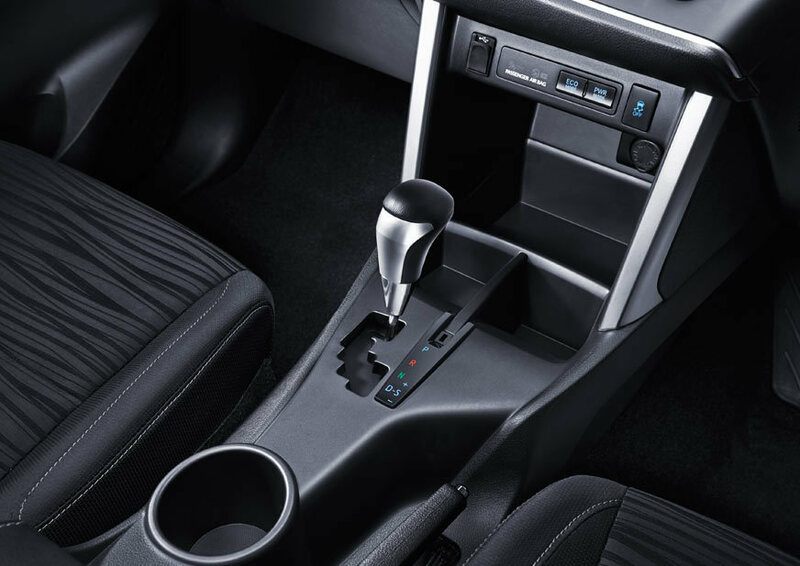 Good and everything but what about the cost? 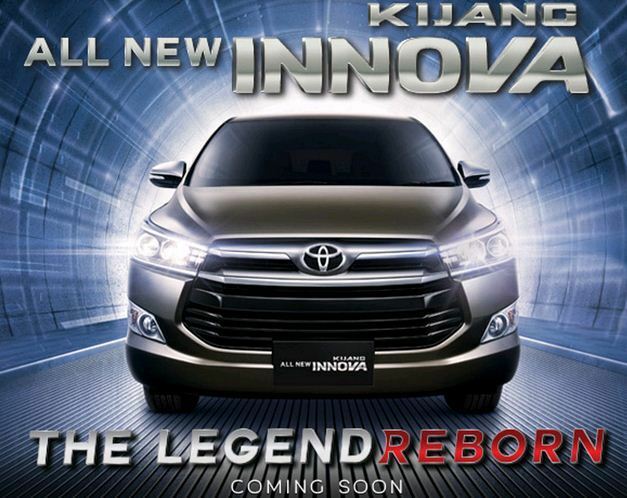 Will it be costlier than it already is? 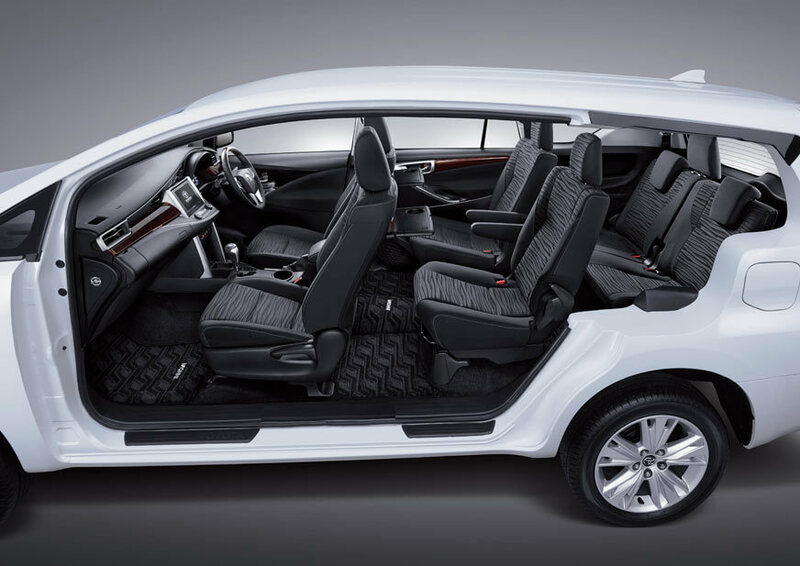 I dont see why people would buy it if it gets too costly I would rather go with the lodgy. 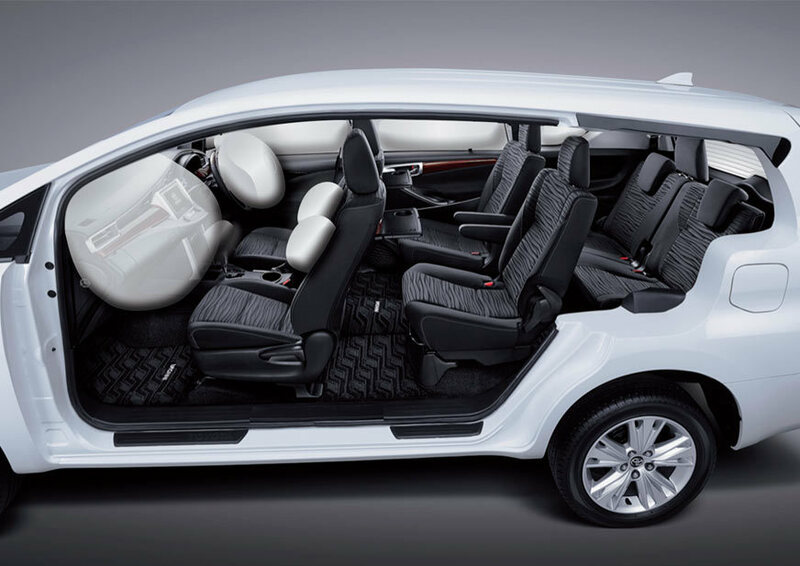 Awesome collection of images. 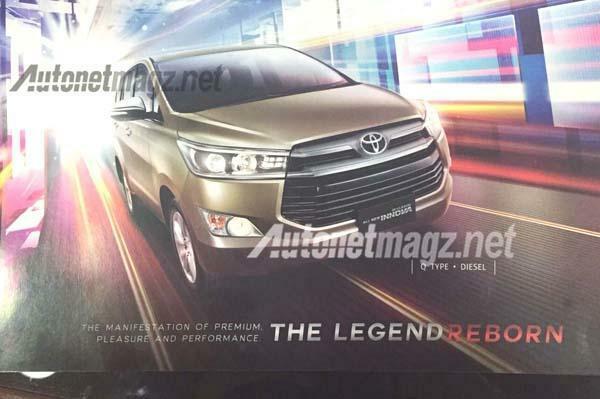 I also have some unique collection of biography info about celebrtities.